BOOM! Studios is setting up another major Power Rangers story called Beyond the Grid. Beyond the Grid is to follow up on the story of Shattered Grid. Shattered Grid was a massive hit for BOOM! and many can't wait to see where BOOM! takes the Power Rangers now. 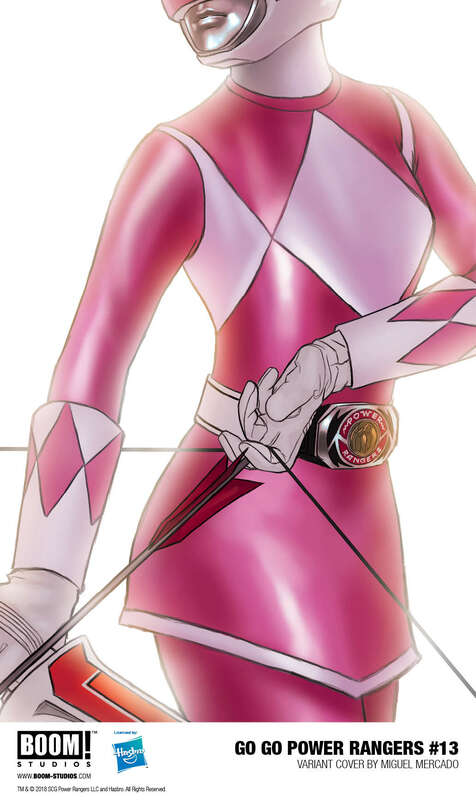 Check out more cool Power Rangers comics and graphic novels on Amazon! BOOM! Studios and Hasbro announced today a new chapter of POWER RANGERS: BEYOND THE GRID, a bold new storyline spinning out of the pages of the hit comic book event Power Rangers: Shattered Grid, and the return of SABAN’S GO GO POWER RANGERS, both in October 2018. 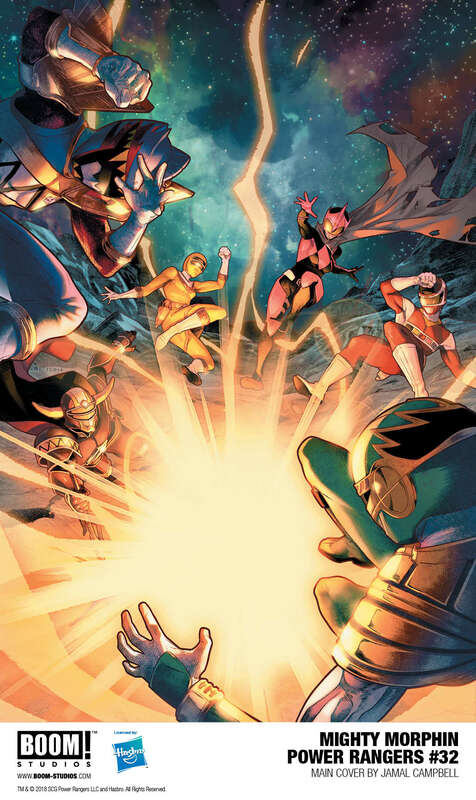 POWER RANGERS: BEYOND THE GRID continues in the pages of Mighty Morphin Power Rangers #32, as the new series creative team of award-winning writer Marguerite Bennett (Animosity) and artist Simone di Meo (Doctor Who: The Tenth Doctor) introduce an all-star team of Rangers unlike any other. 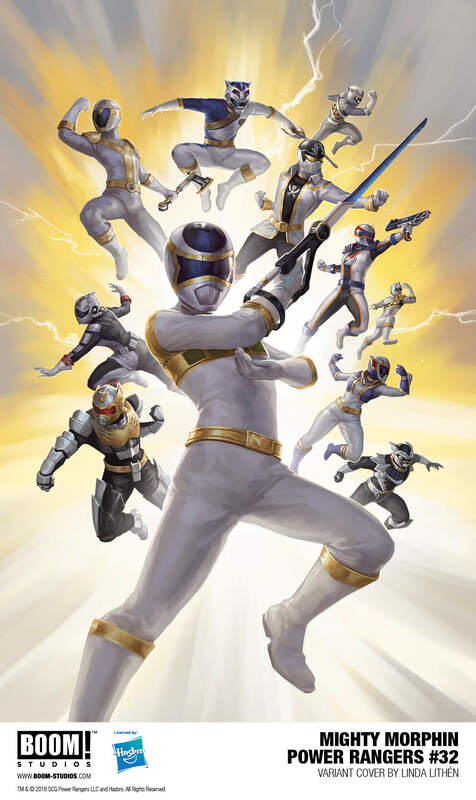 Drawn together from across time and space to combat a never-before-seen evil, these Rangers will need to prove to themselves and each other that they have what it takes not just to survive in a dangerous new environment, but to defeat the oncoming onslaught of an unfamiliar, terrifying new villain. This issue features a main cover by Jamal Campbell (Green Arrow), along with variant covers by Jordan Gibson (America) and Linda Lithén (Need Credit). 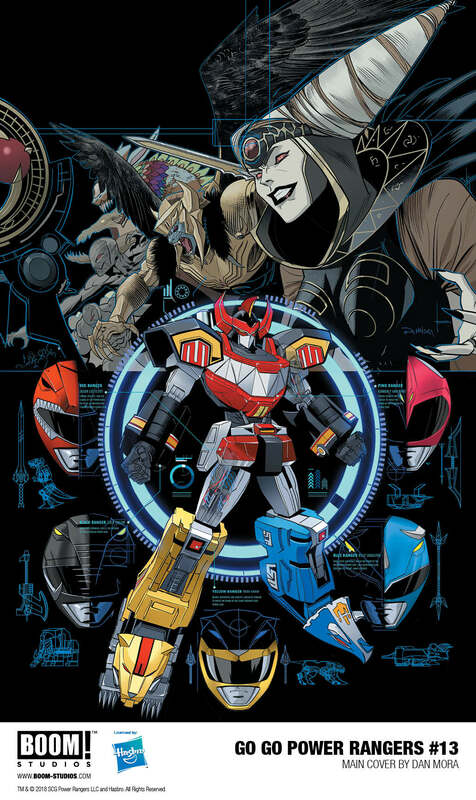 Then, Saban’s Go Go Power Rangers, chronicling the early days of the original five teenagers with attitude, returns in October with issue #13 from series writer Ryan Parrott and new series artist Eleonora Carlini (Batgirl). After coming face-to-face with the Ranger Slayer, the Mighty Morphin Power Rangers are still trying to make sense of the incredible encounter and settling back into their normal teen lives. Little do they know that Rita Repulsa is setting into motion a plan to retrieve an artifact that might be the key to besting Zordon and the Rangers once and for all. Print copies of Mighty Morphin Power Rangers and Saban’s Go Go Power Rangers are available sale in local comic book shops (use comicshoplocator.com to find the one nearest you), or at the BOOM! Studios webstore. Digital copies can be purchased from content providers like comiXology, iBooks, Google Play, and the BOOM! Studios app. Currently, Power Rangers is celebrating 25 continuous years on the air, making it one of the longest running kids’ live-action series in television history with nearly 900 episodes aired to date. Created by Haim Saban and launched in 1993 with Mighty Morphin Power Rangers, the franchise celebrates its milestone anniversary year with the 25th season, “Power Rangers Super Ninja Steel” currently airing on Saturdays at 12 p.m. (ET/PT) on Nickelodeon in the U.S.